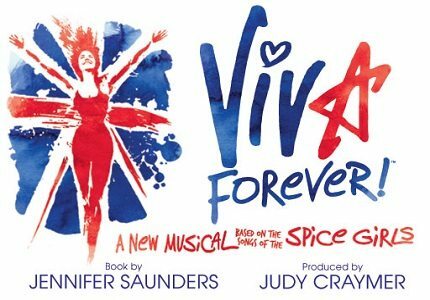 Viva Forever opened in December 2012, bringing back the hits of the 90’s pop band, The Spice Girls, over 15 after they made it big with their debut single “Wannabe.” The jukebox musical was written by British comedian, Jenifer Saunders, and created by the Mamma Mia maestro, Judy Craymer. 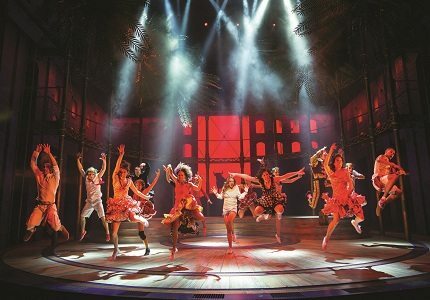 The story focuses on its very own wannabe, Viva, who is a young girl with a big dream. Viva lives on a houseboat with her mother and fantasizes about becoming a singing sensation with her band of girl friends. As the girls enter an X Factor style singing contest, it becomes clear who the real star of the group is. Can Viva’s friendship with her friends survive? The show progresses as Viva travels to Spain and back with a talent contest. Will she ever make it back to her mother on the houseboat? Or will the pursuit of fame and fortune sweep her away from the British shores (or rivers!) altogether? Viva Forever is produced by the Spice Girls themselves and the show features their popular collaborative hits such as “Spice Up Your Life,” “Say You’ll Be There” “Wannabe” and of course the title song “Viva Forever.” The show also includes some of the Spice Girls single efforts, such as Melanie Chisholm’s, “I Turn to You” and Geri Halliwell’s “Look At Me” however fans of the acclaimed solo careers of Victoria, Emma and Mel B may be disappointed as their hit songs do not appear in the musical. Viva Forever is suitable for audience members ages 8 and over.